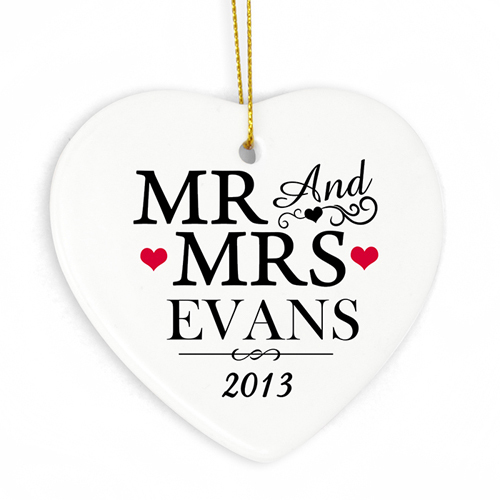 Personalise this lovely, Mr & Mrs Ceramic Heart Decoration with a surname upto 15 characters, and a date upto 15 characters. Line 1 will be automatically capitalised. Decorations come supplied with twine ready to hang straight on the tree. Ideal for Christmas, Birthdays and Christenings.